Zvuloon Dub System emerges from a multicultural middle-eastern music scene. Adopting their name from one of the twelve tribes of Israel, the band was formed in 2006 by the Smilan brothers. They shared the same passion for roots reggae and dub, with influences from a variety of music styles, like Ethiopian jazz and rare grooves from the 70's, American soul, funk and jazz, alongside with Israeli mizrahi (Mediterranean) music. Similarly to the major producers of reggae, like Lee Perry and King Tubby, the band is also keen on creating not just their own music but their own sound. All their tracks are produced, recorded and mixed in the band's home studio, presenting a unique blend of a rich cultural heritage, which can be heard in the debut album, "Freedom Time". The album released on April 2012 under the band's independent label, Med.Tone Records. It consists of 10 previously unreleased original songs written and composed by the band, a groovy reggae version of Voodoo Child by Jimi Hendrix and "Nah Give Up" – collaboration with top Jamaican artist Ranking Joe. 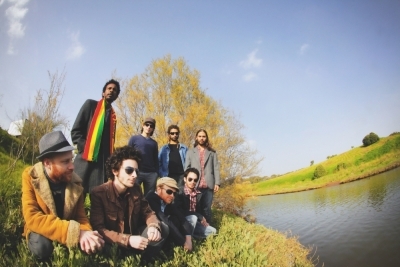 The album reflects the band's vision of contemporary roots reggae and dub. As of today our album is available in both digital version and on CD. The vinyl version is expected to be released this summer. 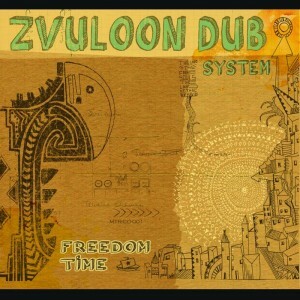 Zvuloon Dub System is an 8 piece band with some of the best Israeli underground musicians. The lead singer, Gili Yalo, who was born in Ethiopia, walked through the desert at the age 4 on an exhausting journey with his family to the promised land – Israel.